Written by Dr Jon Olsen, Research Associate with the Neighbourhoods and Communities programme, MRC/CSO Social and Public Health Sciences Unit. This blog is mirrored on the SPHSU website. Mental health problems are a global issue. In 2013 over 615 million individuals suffered from anxiety and/or depression across the world, a rise of 50% since 1990. How people experience their local environment can impact on mental health. Living in areas that are perceived to have higher levels of neighbourhood problems such as poor housing quality, limited amounts of greenspace, industrial activity, and high traffic volume, has been linked to poorer mental health by some research studies. But, few studies have explored how change in what people think about their neighbourhood is linked to change in their mental health. It would be useful to know this as improving the neighbourhood environment could strengthen mental health. In our recently published study, we wanted to see how changes in what people thought about their neighbourhood impacted on residents’ mental health over time. We looked at two mental health outcomes: anxiety and depression. Adults who lived in West Central Scotland, an area including Glasgow and eight neighbouring local authorities, were asked to complete the same questionnaire in 1997 and 2010. 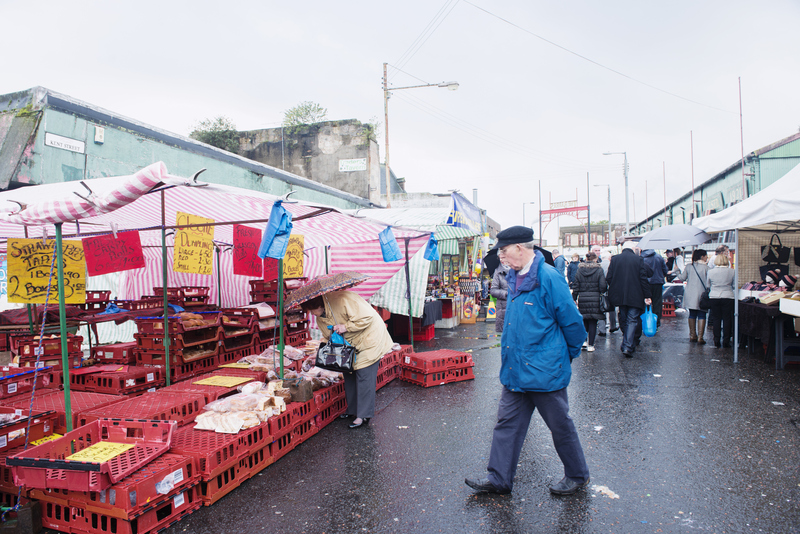 Glasgow, United Kingdom – October 20, 2013: People come to walk around and shop at the historic Barras Market Place flea market. Overall, anxiety and depression in the people we spoke to reduced between 1997 and 2010. However, those who experienced worsening neighbourhood perceptions from 1997 to 2010 also had increased anxiety and depression scores. Our study showed that worsening neighbourhood perceptions were linked with small increases in anxiety and depression scores. People living in areas where perceptions of the neighbourhood got worse, did not benefit from the general improvements in anxiety and depression scores enjoyed by the population as a whole; this could widen health inequalities. 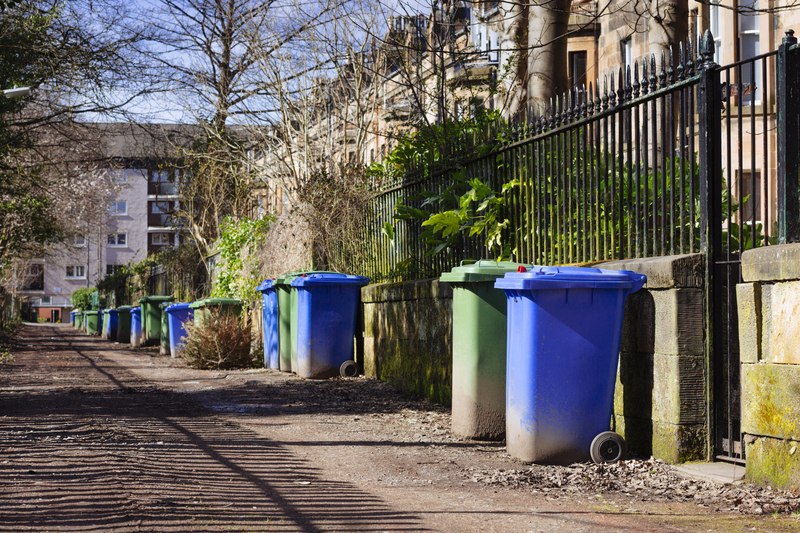 Wheelie bins (blue for recycling, green for general refuse) lined up for collection in a Glasgow alley. There is a clear need for national and local policy to target areas where neighbourhood conditions are substantially deteriorating to ensure people’s mental health does not suffer. We used data from the Transport, Housing and Well-being study; a postal survey of adults in eight local authority areas in the west of Scotland in 1997 and 2010. More information and a link to the full questionnaire can be found here: http://thaw.sphsu.mrc.ac.uk/. Anxiety and depression was measured using the Hospital Anxiety and Depression Scale (HADS), a common measure of psychological distress that has been in use for over 30 years. The full paper was published in the International Journal of Environmental Research and Public Health and is freely available here. Disclaimer: The views expressed in this blog are those of the author.